The latest Aurora series ocean watch was inspired by the chaos of the born of the universe. It uses gear, lightning and mechanical texture to express the expansion and reproduction of life in the prehistoric era. The 8mm thick Sapphire glass lens is anti-corrosion, scratch-proof and never worn. It lets the Optical Illusion Arts clear as new forever. The fantasy 3D effect in the small dial giving magic and amazing unique dynamic visual effect, looks like it is breaking out the the lens. 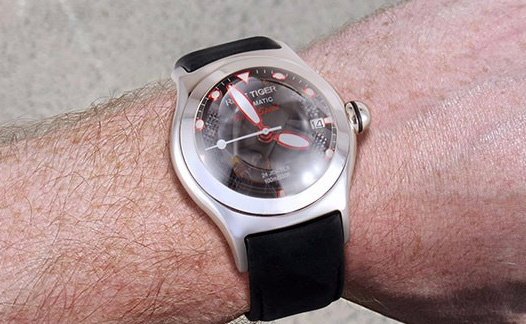 The designer designed the Ocean watch dial like the celestial nebula in prehistoric world. The hollow grooved and lighting effects ably matched, the implication of the explosion and vitality perfectly in coordinate with the name of Ocean Speed. The 45mm watch case smooth and streamline, and the ball-shape crown inlay with a rubber ring. The heavy watch case match of the refine curved lugs, so close to the wrist, comfortable to wear, yet express individuality. With passage of time, the special lines of crazy horse strap will become rich texture, adding a bit of retro color to the Ocean Speed watches. Imported Italian calfskin supplemented with same color cotton thread, soft and breathable, bringing the best wearing feeling. As we all know, the movement is the heart of a watch. The usage life of the watch is depend on the stability of the movement. 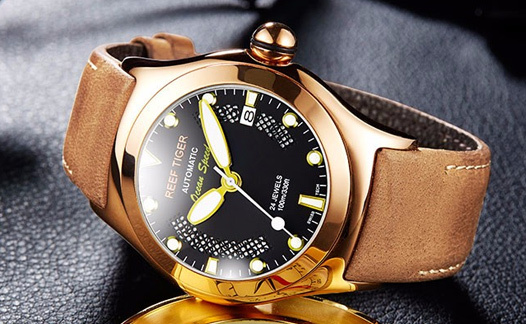 Reef Tiger has developed the RT7101 movement which has 21 diamonds and 21600 swing frequency to ensure the date error rate no more than 5 seconds. 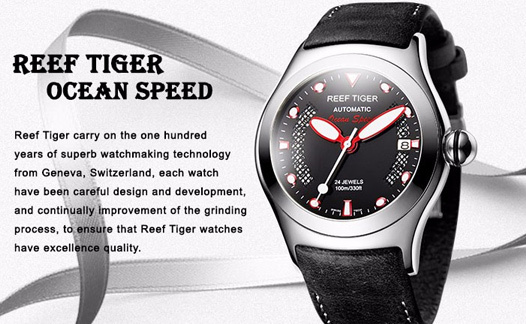 It is the core technology of the Reef Tiger Swiss watchmaking.